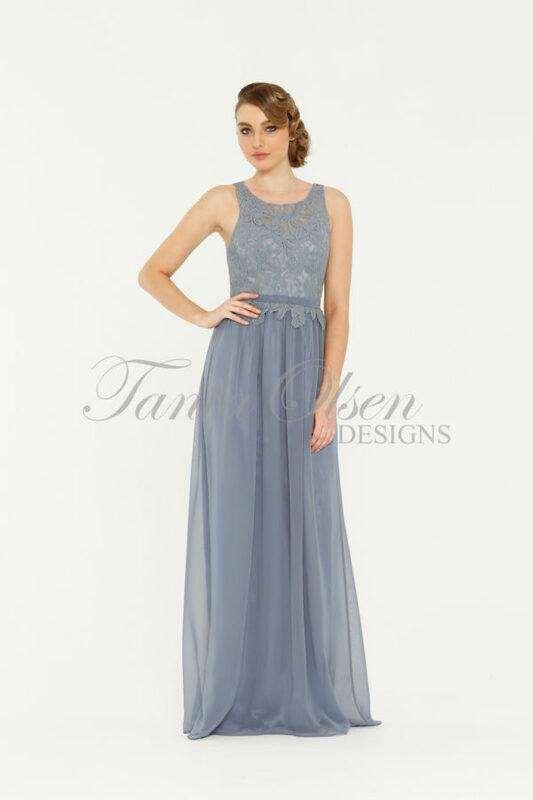 Exude feminine elegance in the Leah Bridesmaid Dress. Featuring a delicate off-the-shoulder design, the Leah also makes a beautiful formal or ball gown. This timeless Leah Bridesmaid Dress by Australian favourite is artfully designed with the label’s unmistakable, ultra flattering silhouette. Crafted from a fitted crepe the Leah style features an off the shoulder design exposing the shoulders, a nipped-in waist, and a train-inspired hem, shaping the body and falling elegantly to the floor. Embracing femininity and class, this dress is the perfect staple for your bridal party, or next evening affair. When purchasing from sentani.com.au you can be sure that Tania Olsen and the Sentani team have taken great care to ensure that every design is functional, comfortable and captivating; and have ensured that all materials are high quality and durable. Your dress has been carefully inspected through every procedure to ensure that the finished dress will leave you completely satisfied with your purchase. It is your satisfaction, that makes all our work worthwhile!